Analytics firm Flurry has finally stopped all of the counting, and has come to the conclusion that from December 19th through December 25th, activations of new Apple devices amounted to more than twice its nearest competitor. Flurry says that 51.3% of devices activated globally during that time period, were manufactured by Apple. That compares to the 17.7% of Samsung devices that were activated during that period. Nokia (5.8%), Sony (1.6%) and LG (1.4%) round out the top five. According to Flurry, "To put this in perspective, for every Samsung devices that was activated, Apple activated 2.9 devices. For every Microsoft Lumia device activated, Apple activated 8.8 devices." This year, phablets were "in". From December 19th through December 25th, 13% of new phones getting activated around the world were phablets. That compares to the 4% of activations that belonged to phablets during last year's holiday season. Full sized tablets dropped from 17% of holiday activations to 11%. Strong phablet sales might have played a part in that decline. The Apple iPhone 6 was the most activated device during the seven-day period, while the Apple iPhone 6 Plus was in the top five. Flurry noted that upstart Chinese smartphone manufacturers like Xiaomi and Huawei each was responsible for less than 1% of device activations during the holidays. The analytics firm pointed out that in that region, December 25th is not the biggest gift-giving day of the year. As new devices are unwrapped on Christmas Day, those finding a new phone or tablet under the tree are dying to load up the device with apps. That's why, in the U.S., the holiday remains developers' favorite day of the year. On December 25th, Flurry found that U.S. mobile device owners installed 2.5 times the number of apps that were installed on average from December 1 through December 21st. In addition to installing apps on new devices, many mobile device owners received gift cards and cash for the holiday, which was used toward the purchase of apps. Actually it's a good result for Samsung when you realize how many other OEMs produce Android phones. Will they ever reach Apple? Absolutely Not. Their OS perfectly fits millions of users out there and nothing will lure them away, not to mention the lure that comes with the Apple brand(might sound cheesy, but it's a big reason why people choose Apple products), not to mention iTunes and the investment millions within this ecosystem. And their biggest plus, no other manufacturer offers an iOS running device. The new iPhone 6 is a winning design and Tim Cook's team do deserve a pat in the back. And, you are right Samsung is doing well considering the number of millions of sales from XiaoMi and Oppo. The rise of China phones have taken a tight grasp on the Android platform. No necessary a bad thing because competition is always good for the consumer. Everyone knew, or pretended not to know, all Apple had to do was built a larger screen, and party over. I envy you guys. You guys are so "simple". Do you really never think before posting? Ask yourself what is flurry and how they track these matrices? They are tracking apps to measure activation of devices. That certainly isn't the most scientific way to determine sales or market share. Do you seriously think that the vendor which has less than 15% of market share suddenly jumps to 51% ? That's a jump of more than 300%. Here's another statistics for you (for free): Christmas is celebrated by Christians, who make up about 1/3rd of world's population. Not everybody in the world starts shopping just beacuse it's Christmas. Point being just few days of sudden surge in sales doesn't really make much difference in overall scheme of things. that free stastistic you just gave is crap. No wonder most people run around arogant. they spontaneously gets statistics from air. Regardless of percentage of world being christans. MOST out there likes to grab good deals when its out there. Xmas, black friday and what not. And it makes a difference. What about worldwide sales? Doesn't it make a difference, too? Lumia deserves much better market recognition,, those percentages are shameful,,I think people aren't really aware what Lumia devices are really about,, so underestimated. Don't worry. If there's one thing PA commenters are good at, it's coming up with wild explanations for why the article is dead-wrong. The excuse du jour will probably follow along the lines of something like "this company got paid off by Apple!" etc. This is for the US only. No surprise here at all. Apple has traditionally been around the 50% mark in the states due to heavy handset subsidization by the US carriers. It tells us that the 6 and 6+ sales have remained flat over the 5 or 5s when compared to Android handsets. Lumias are Nokia. Brand name may have partly change from Nokia Lumias to Microsoft Lumias but the quality remains. Alan F. You just pissed off 99.9% of your readers. Accept Darkkjedii. He's an Apple fanatic. Apple was beastin! The 6/6 plus are simply outstanding devices. Kudos Apple! Putting bigger screens in the iPhone was very smart, because of this more people went back to buying an iPhone. 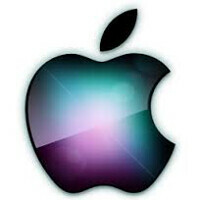 Hate them or love them, Apple will remain the leaders for a LONG LONG time, if not forever. They do know how to keep their fans and customers happy. On paper, their products are low end to mid rangers, but in reality they are beasts. Optimization at it best, that's their key for this unmatched success. They aren't the leaders by a longshot, Apple sells well in the USA only due to contracts and subsidies. Look up IOS marketshare outside the USA its a lot less than here. So what you're saying is that Android is leading worldwide not because it's "better" but because it's more affordable and accessible than the iPhone. You're probably right. Bang on. The price for one is ridiculous outside the states; in some places it's equal to three months average salary on contract. Bingo. Most people in the world probably can't afford an iPhone, whether they want one or not, so have to turn to some cheaper alternative, no doubt running Android instead. Android is number 1 in sales, but probably number 2 in what people actually want. Hey now, gtfo with your "logic" and "statistics", you're making the iDrones heads hurt.